Since its release a little over a week ago, Halo 5: Guardians has been doing fairly well among the gaming community in terms of gameplay and overall satisfaction from people who have bought it. However, there has been some recurring issues throughout the Orion map that allow players to take full advantage of multiple exploits. After the multiplayer update that was released yesterday, 343 Industries has pulled Orion from the game’s rotation in order to fix all of these issues so that they could bring back Orion in the future. One of the main exploits on the Orion map had given players the ability to ground pound off the map without dying. Therefore, any players using a long-range weapon could utilize this exploit to their full advantage and rack up kills. This, along with many other exploits on the map have caused 343 to remove it completely from the rotation. They are also making multiple improvements to Orion for it to make a comeback, although when it may return is not yet known. Besides the map removal, 343 Industries has also made changes to the multiplayer spawn points, and plans to fix any exploits that may arise from this adjustment. Furthermore, they have added fifteen more map/game type combinations to the current rotation that can be seen in the spoiler below. 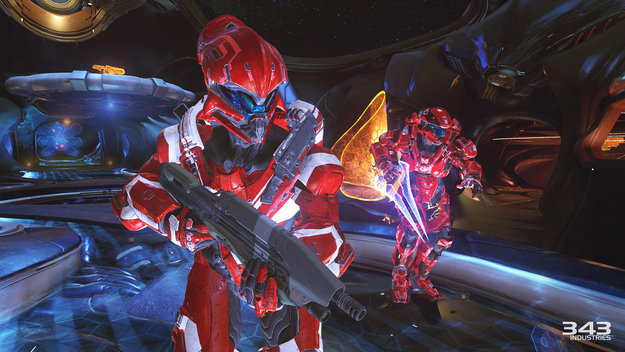 Lastly, 343 has announced that this weekend’s playlist will be Shotty Snipers. Being the playlist that was voted for the most by the community, it has started yesterday, and will run through to early Monday morning pacific time. This playlist will offer bigger XP rewards which can be accessed through all Arena maps, excluding the Breakout variants. What are your thoughts on this map removal and additional patch fixes that have been brought to Halo 5: Guardians? Do you feel that they have made an overall improvement in terms of gameplay? Let us know in the comments below! SirLimpski, The Finders Cult, Jankinator and 4 others like this.